Two weeks ago, we looked at vehicle rules — vehicles as narration, as equipment and as characters. One of the most common uses for vehicles in adventure fiction is in a chase, where one vehicle (the pursuer) is trying to catch up with another (the target), to make an arrest, to get in a shootout, or just to beat the target to the final goal. Or to make a cool getaway. (image: clockworkmanual.com). 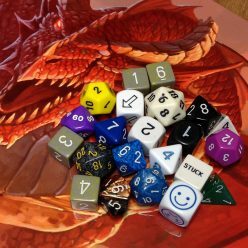 Let’s take a page from the chase rules developed for the 3rd Edition d20 game system and track a chase in Domino Writing-style USR. In addition to the regular rules, you’ll need a piece of paper and a pencil. 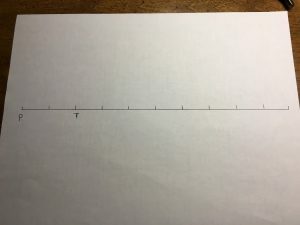 Draw a line and put a series of evenly spaced marks across the paper, about every inch or so. 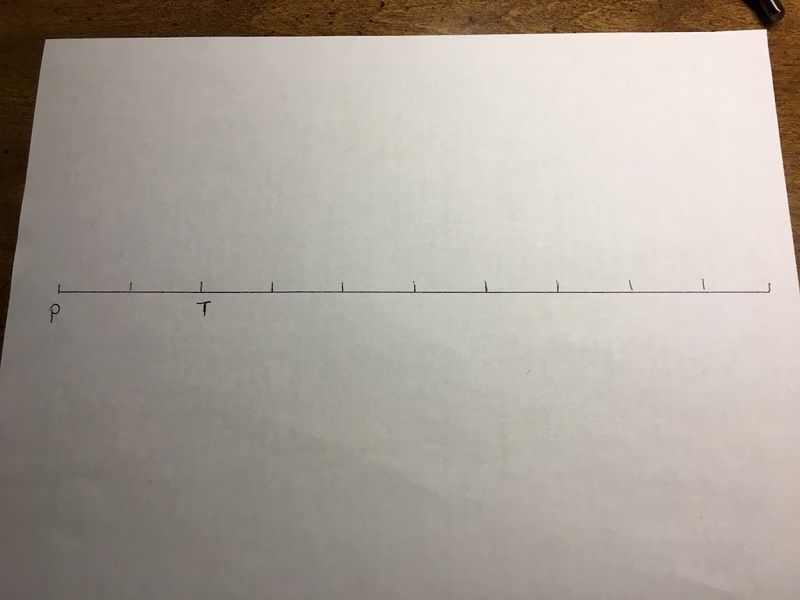 Put the pursuer at the first mark on the left (write “P” or use a miniature) and the target two marks farther along the paper (write “T” or use a miniature for it too), so there’s a mark in between them. The two vehicles will move across the line from mark to mark until they reach their goal — usually by going off the other end of the paper, or landing on the same mark. Like this, with a “P” and a “T.” Same idea as the picture above, but a lot less interesting, at least on paper. Decide if the heroes are the pursuer or the target. Choose a target number based on the difficulty of the terrain (empty space is a 2, a crowded city street is a 7, lava flowing around you is a 10). 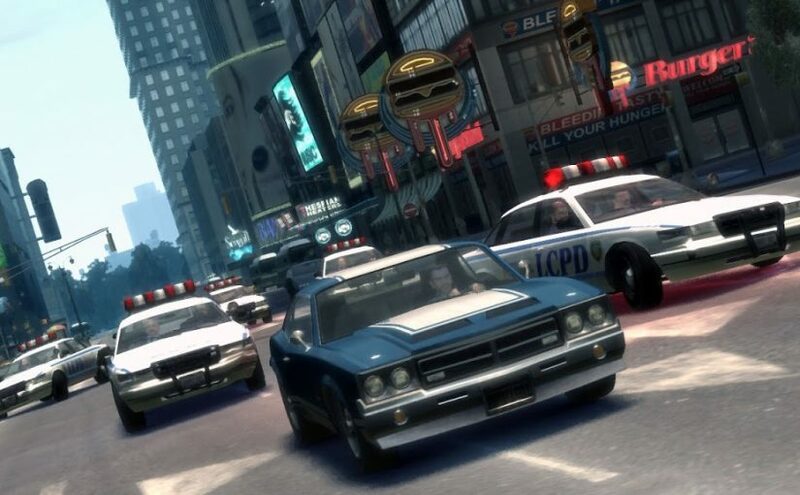 Have the player acting as driver or pilot make a roll to control the vehicle (usually Action + relevant vehicle Specialism), and have NPCs who are pursuing or who are the target make the same roll. If one group (heroes and/or NPCs) succeed at the roll, move them forward one mark. If the roll fails, the group doesn’t move. 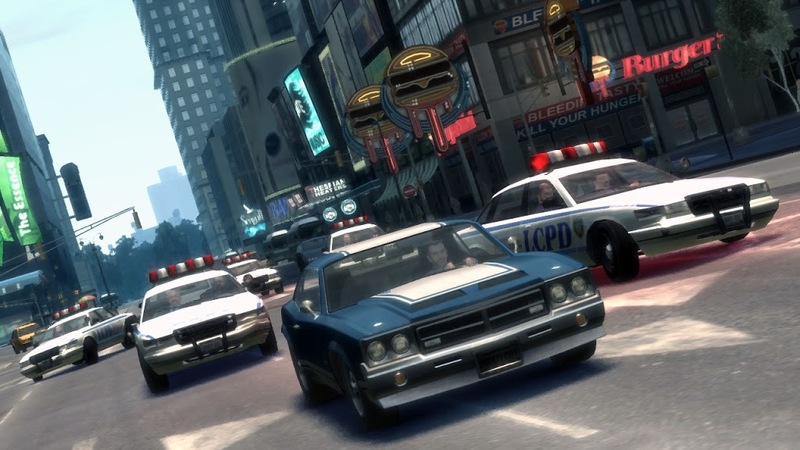 The character who is driver or pilot is usually using his or her turn to control the vehicle, but everyone else in the party who’s in the vehicle can take a normal action, like firing the vehicle’s weapons or shooting their own guns out a window. In a game with more detailed vehicle rules, a character might spend their turn trying to repair the vehicle, or perform a scan for more enemies. If nothing else, a character can spend its turn offering support, providing a +1 to an attack roll or the driver or pilot’s control roll. What do you do to visualize chases on the tabletop?